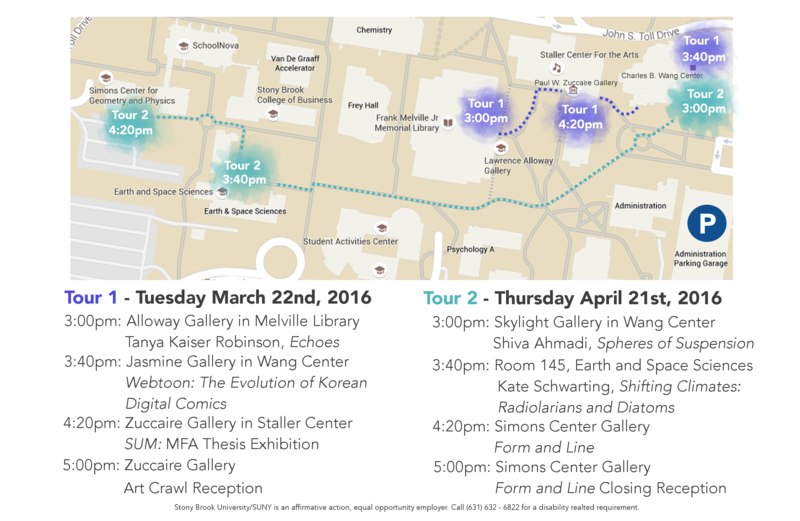 Join us for the Spring 2016 Art Crawl at Stony Brook University! The Art Crawl is a free event with guided tours of carious galleries on the the Stony Brook University campus. Form & Line Closing Reception in the Simons Center Gallery.